The best thing about cool weather? Soup season. We all know the homemade stuff is infinitely better than the canned variety, but cooking from scratch can be so time consuming. Rest assured, these 10 Winter Soup Recipes are worth the wait. In a fix? 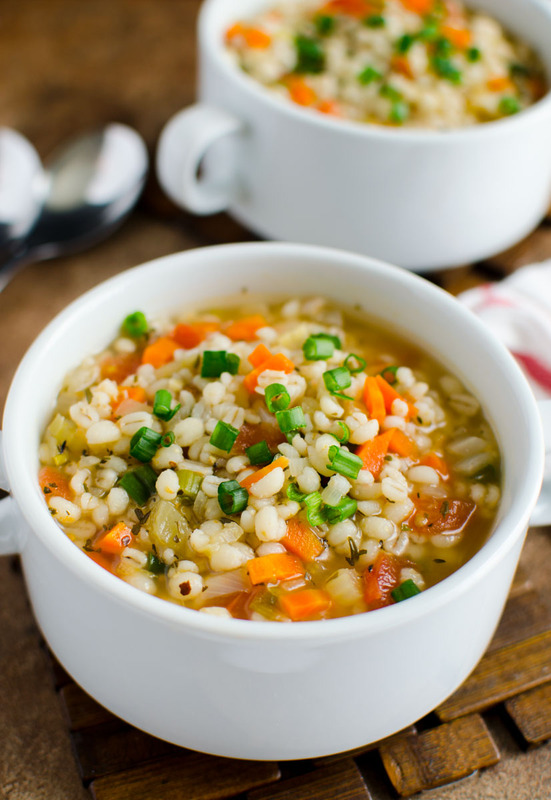 This barley soup is filling, contains very simple ingredients that are common and you probably already have most of them in your pantry already. A deliciously easy and incredibly healthy broth-based chicken, quinoa, and sweet potato soup made in the crockpot this sweet potato chicken and quinoa soup has been added to our “must try” list and I am sure it will make your too. It looks delicious! 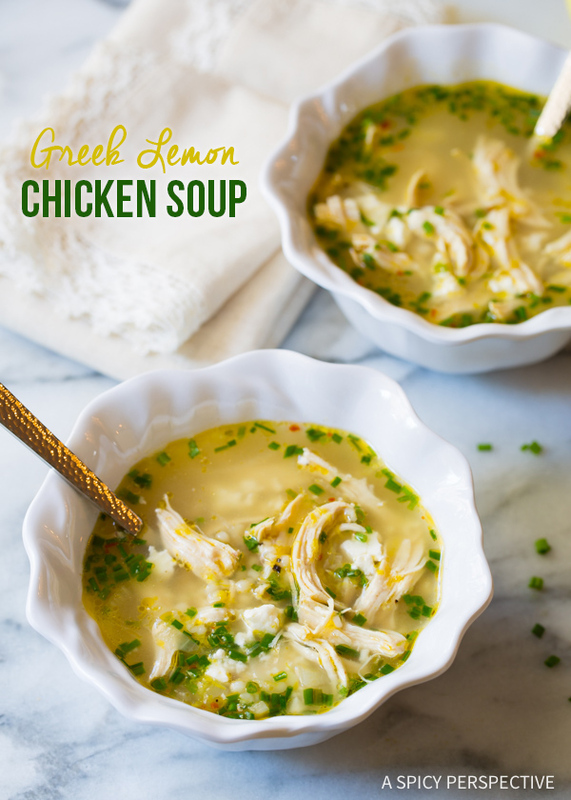 This Greek Lemon Chicken Soup is one that I can not wait to try with my family. Healthy, and loaded with greek flavours like garlic, earthy olive oil, and feta cheese. I have to admit this soup looks like it will lifts the spirit and warms the belly. 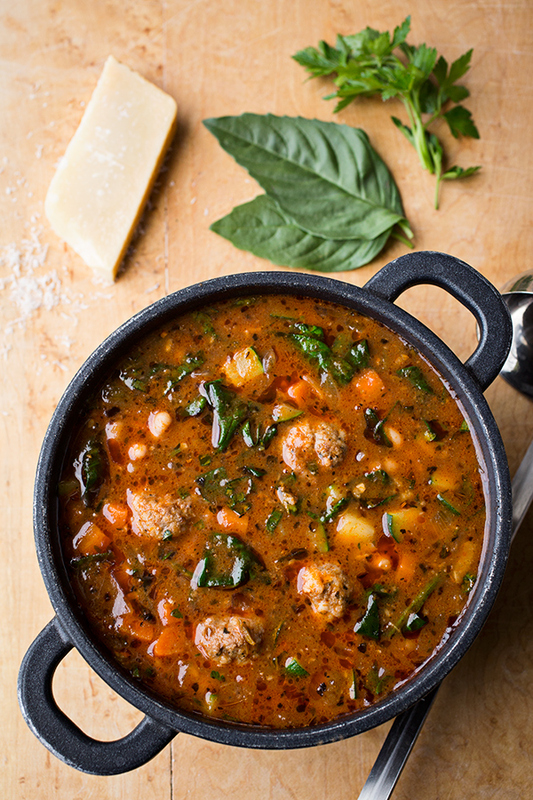 I am a sucker for a delicious bowl of Italian meatball, rich hearty and a meal all in it’s own. This recipe (and the story behind the recipe) is one of my favourites and I think your family will enjoy as well. 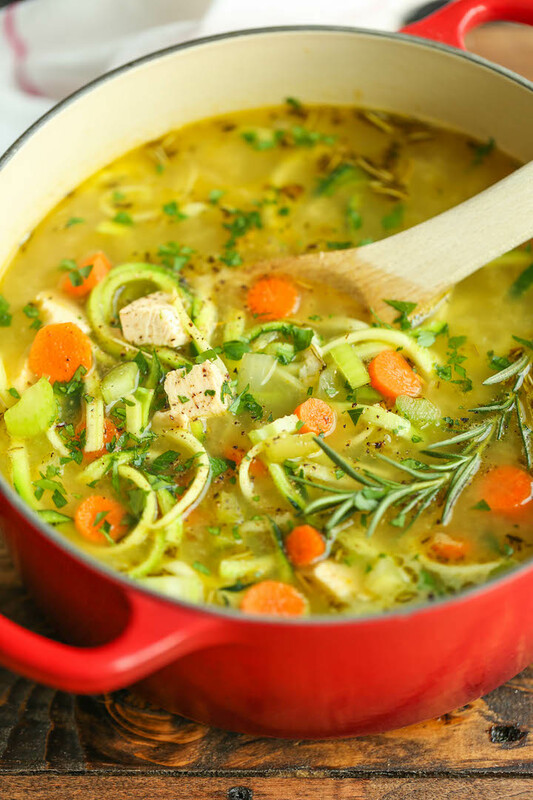 This Chicken zoodle soup is a new one that I can not wait to make with my family. Just like mom’s cozy chicken noodle soup but made with zucchini noodles instead! I have always been a fan of tomato soup. I love the creaminess, the rich tomato flavour and brightness of the tomatoes. So imagine my delight when I found this Tomato Basil Tortellini soup, this is definitely not your run of the mill canned variety soup. 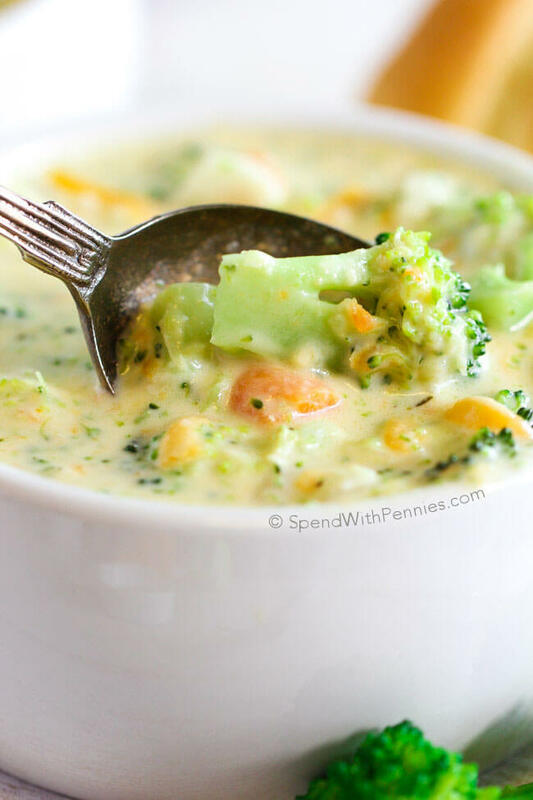 This Broccoli Cheese soup is sure to be one of your favourite quick weeknight meals! There’s just something amazing about a hearty bowl of soup in your belly to warm you from the inside out.. and even better when it takes just minutes to make! 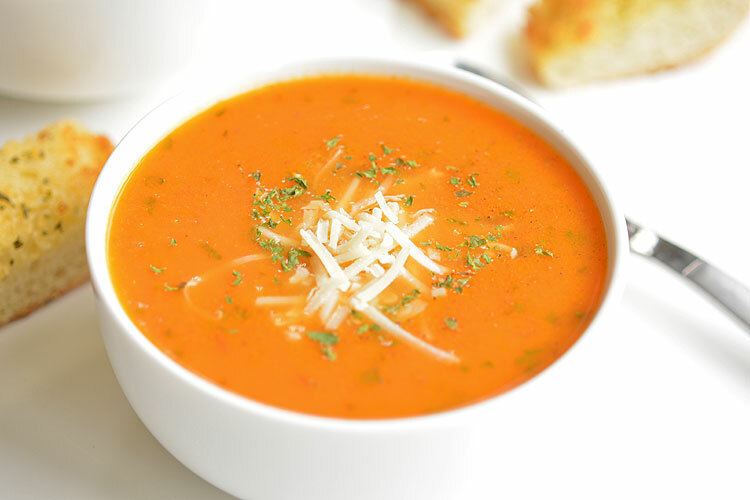 This sweet tomato basil soup is one of my all time favourite recipes. 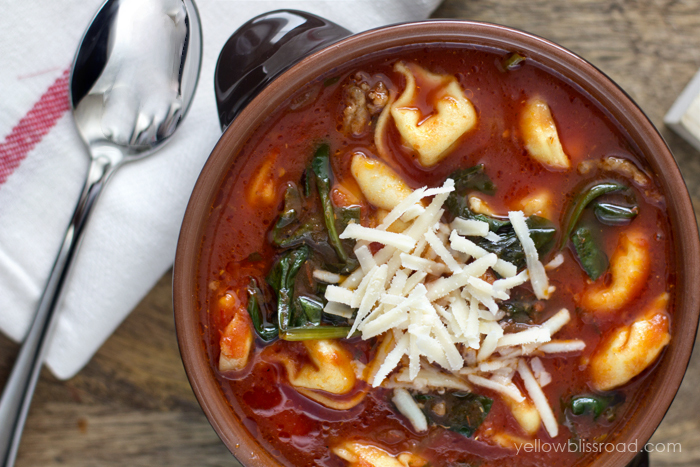 Mmmm… It’s the perfect soup recipe anytime of the year! The flavours are perfect, and it always tastes amazing! 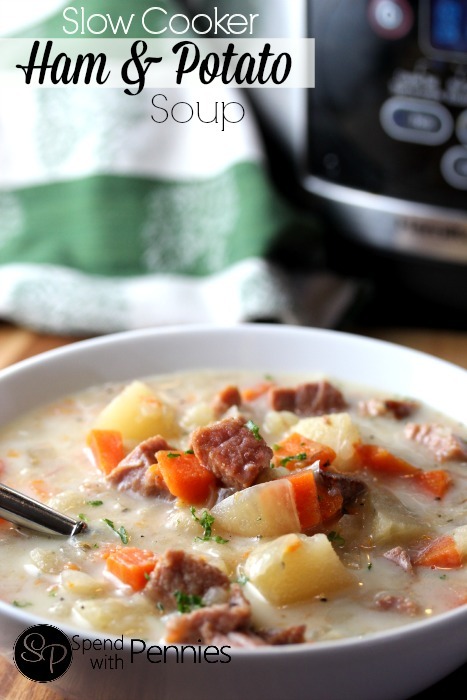 Few things are as comforting as a delicious and creamy bowl of ham and potato soup. It’s always delicious and never lasts long around here! This is one of those soups that is fabulous the first day just as amazing as leftover. So cozy, so comforting and just so creamy. 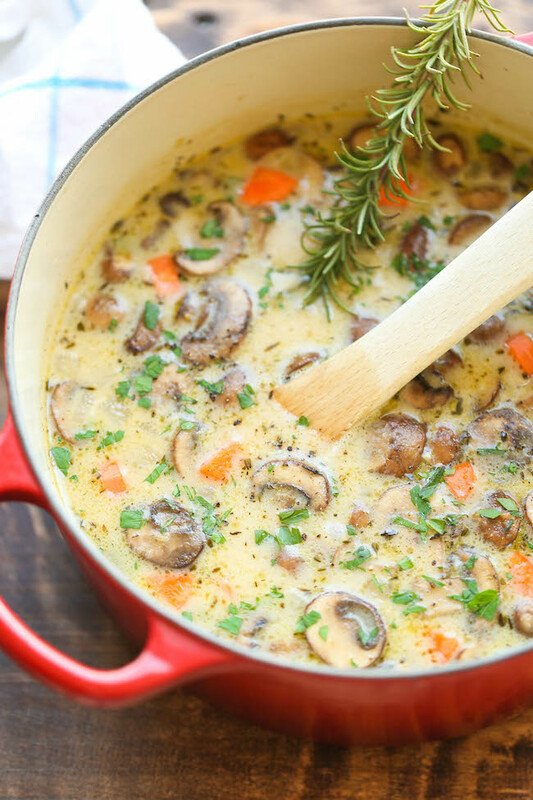 Best of all, this chicken and mushroom soup is so quick and easy to make! Maybe your thinking it’s too early for soup? Or maybe where you are living it hasn’t quite cooled down enough to make the thought of soup even the least bit appealing. Orrrrr you could be like me right now – it’s freezing where you are at, you are a soup lover, and you + your whole family is fighting a cough and soup is the only thing that is even remotely appealing in the department of meals. Anyone? Yeah it was a bit of a stretch. But maybe one of those things applies? Like – soup lover? If you are a soup lover, I hope that you found something delicious that your whole family is going to love. What Soup recipe is your favourite? I love soups, and these all look amazing! I would be very happy to eat them all year long! These all look so good! I love to have soups for this time of year, they always warm me up. In Wisconsin we still have at least a month of winter left unfortunately. I love trying different kinds of soup especially this time of year. We just got 2 feet of snow (literally) yesterday so that barley soup would be perfection right now. Oh so many good soups! I could live off soup and salad. That meatball one looks like it’d be a hit with my whole family. We’re all about soups in the winter. We just made a batch of taco soup and a great chicken/corn/cheese chowder! I am always looking for soup recipes in the Winter. These all look great, your pictures are beautiful. I think I am going to try the barley one tonite! Thank You! 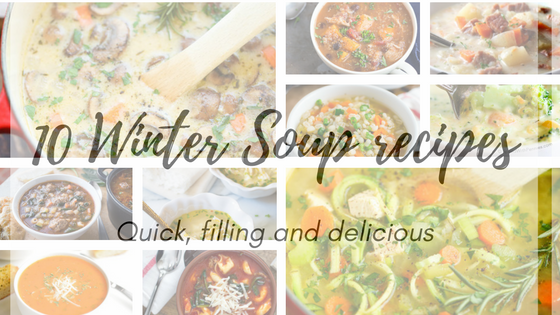 Winter soups are just so cozy and love the options you’ve shared. The Sweet Tomato Bisque is our family favorite soup recipe. Oh these all sound so comforting! 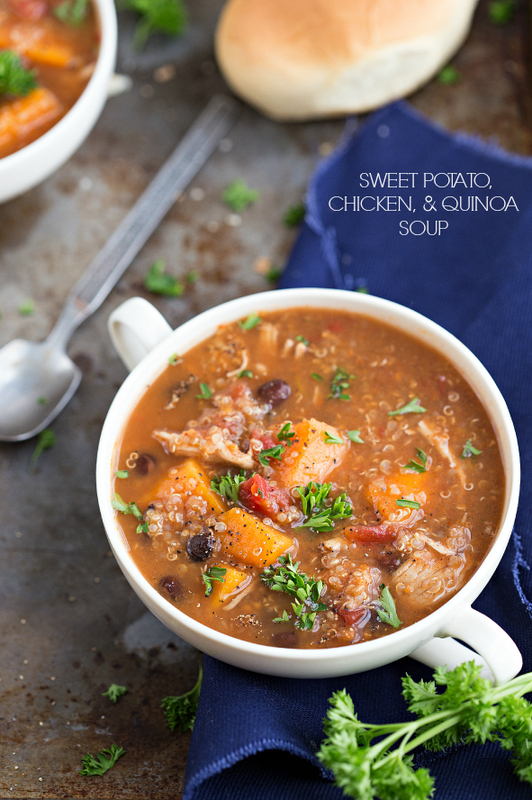 I’m really into quinoa right now and I wouldn’t mind trying the sweet potato, chicken and quinoa soup. I don’t think I could pick a favorite! I love soup of all kinds and could eat it every day, at every meal! Wow, now thats quite a round up! I wouldn’t even be able to pick a favorite, I love trying new soups especially during the winter. Oh my I am in soup heaven. I am a soup lover fro sure. All year around. I can’t wait to make some of these.